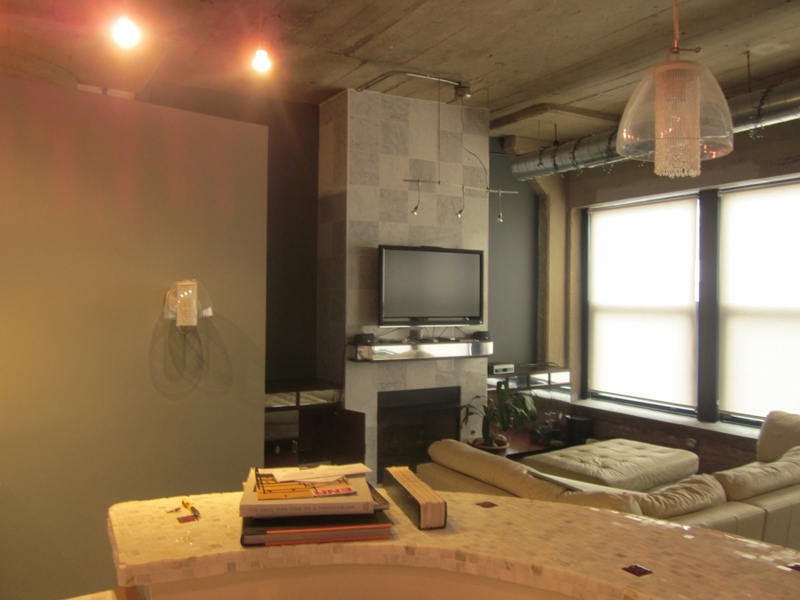 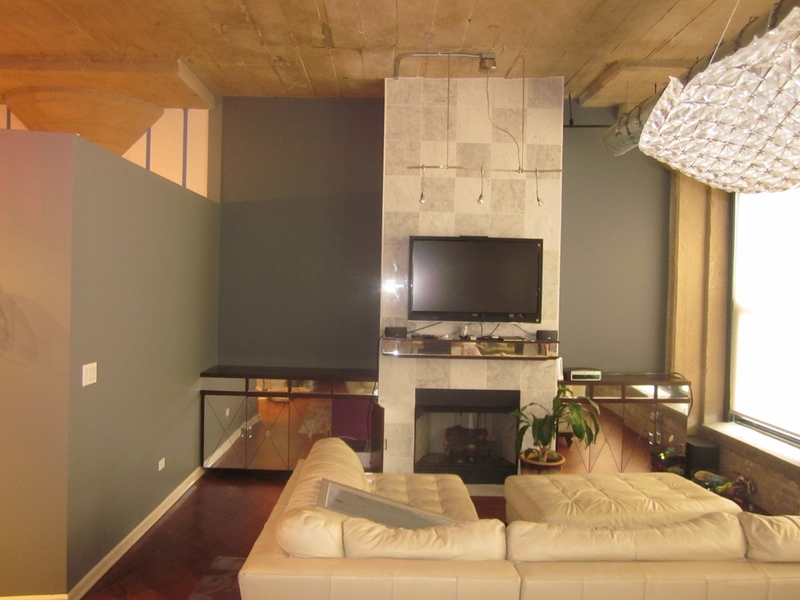 West Loop. 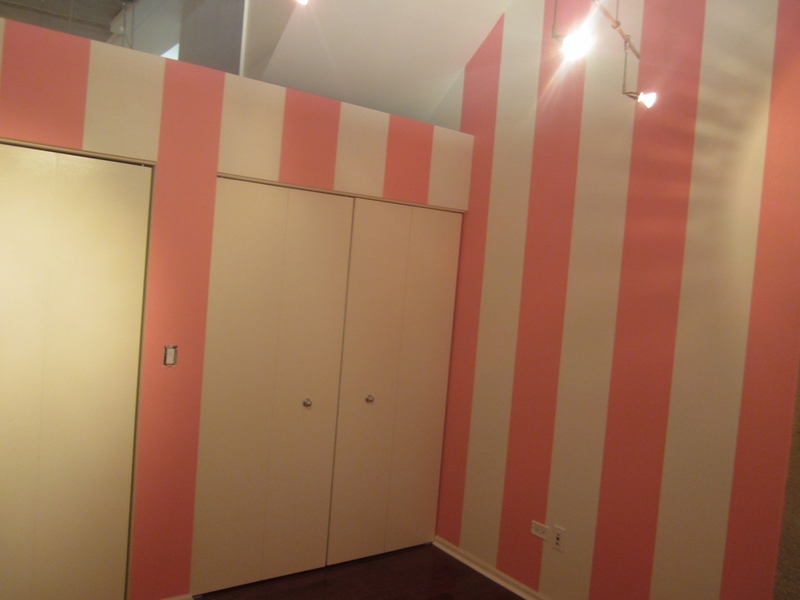 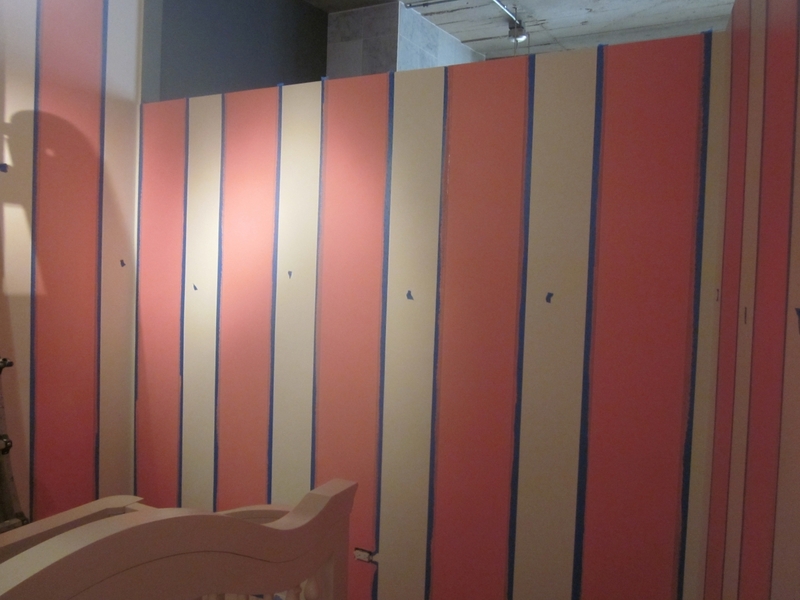 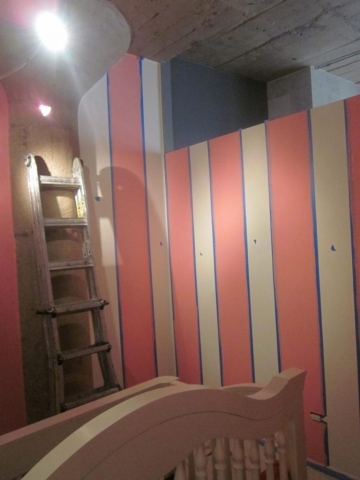 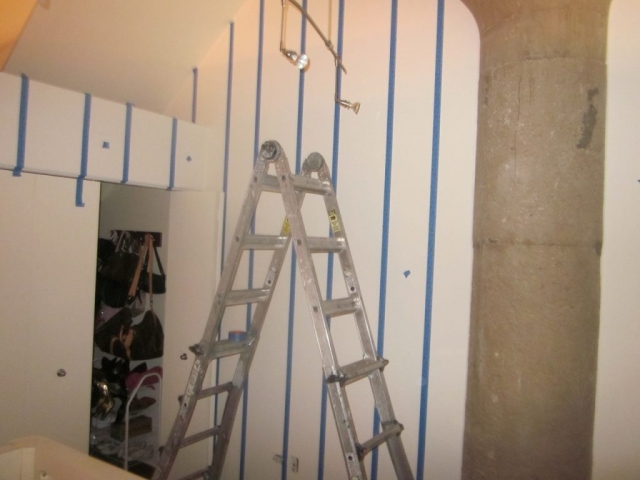 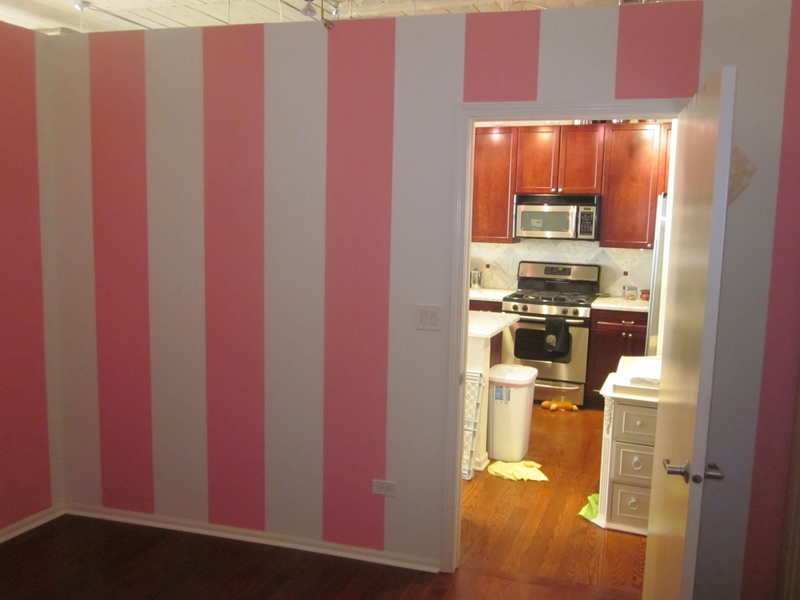 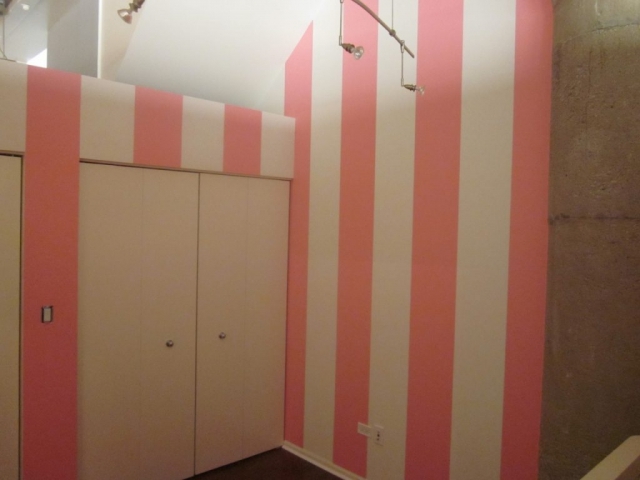 Vertical stripes painting. The whole project took two days. 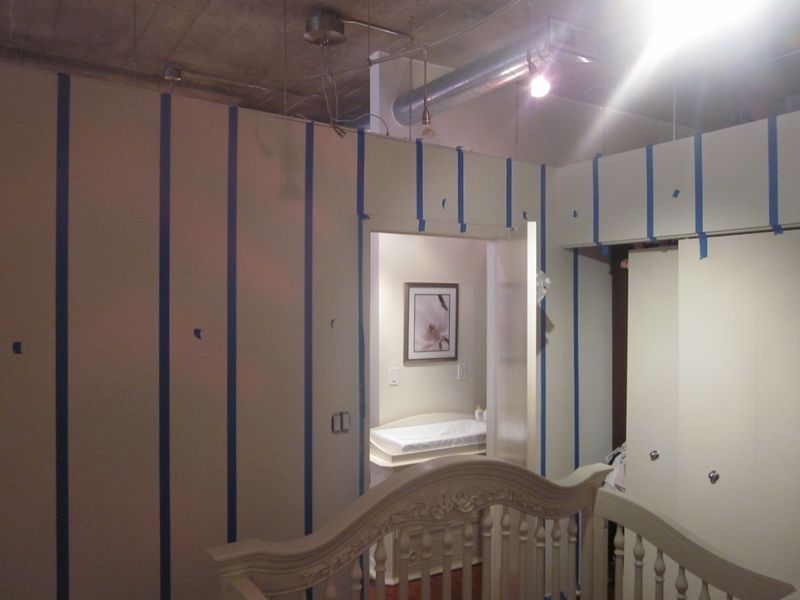 Painter had to repair all drywall damages. 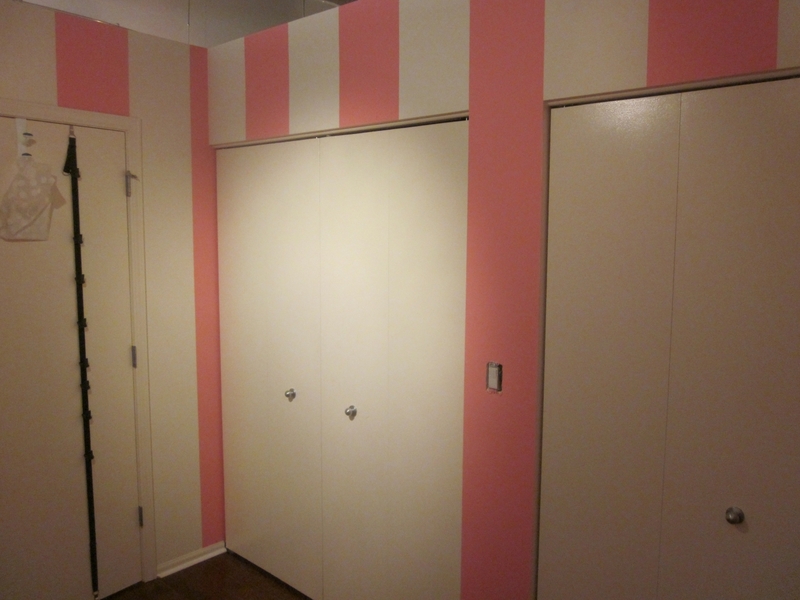 All trims and doors were painted with white semi-gloss paint. 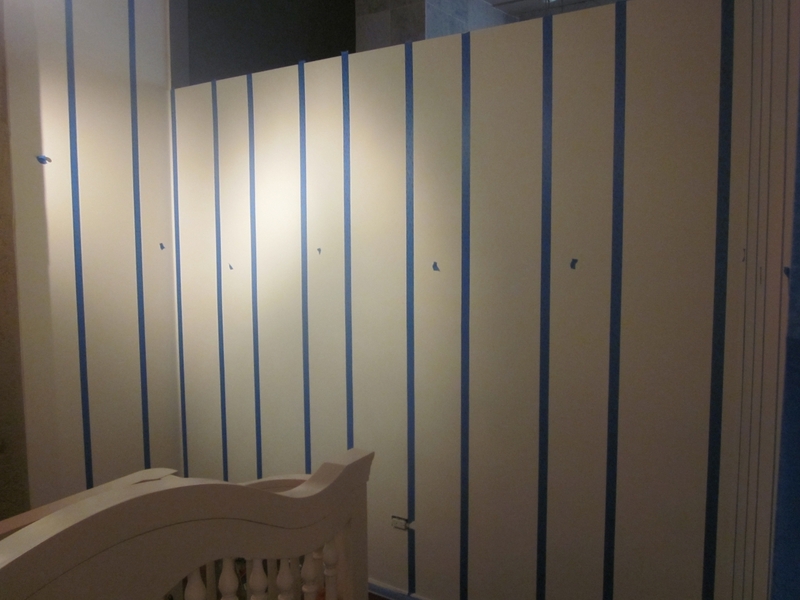 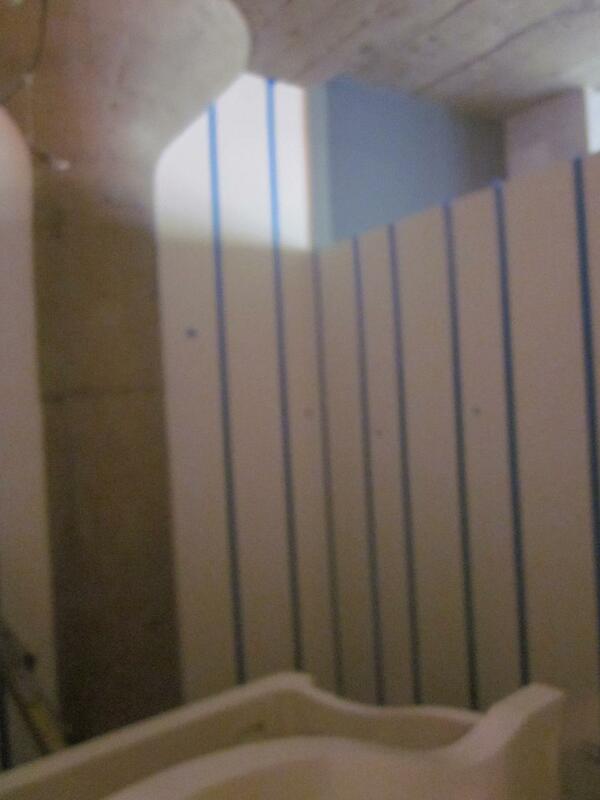 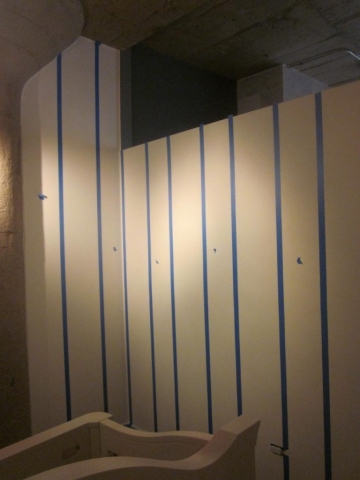 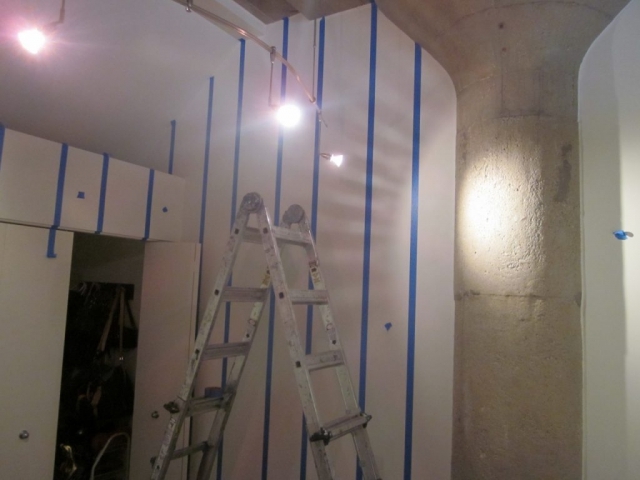 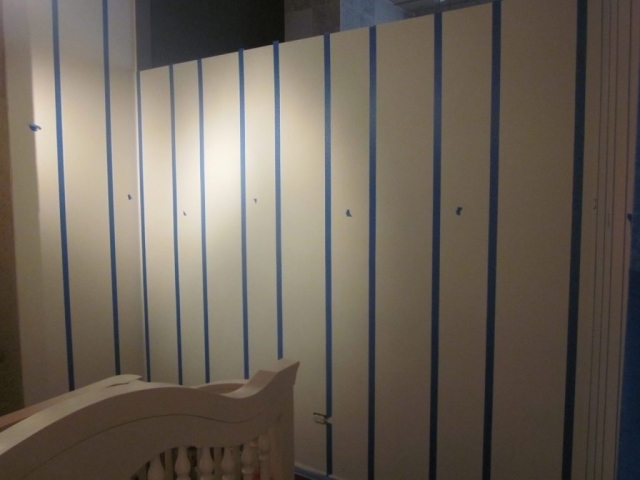 Next day painter measured, marked and taped vertical stripes. 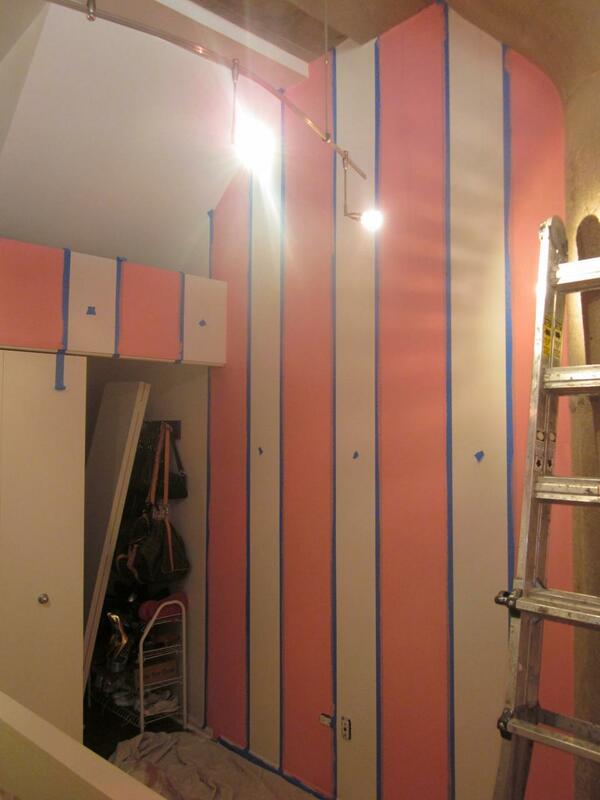 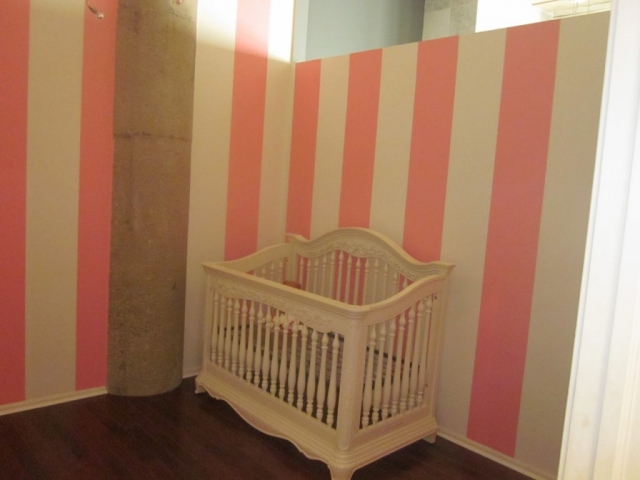 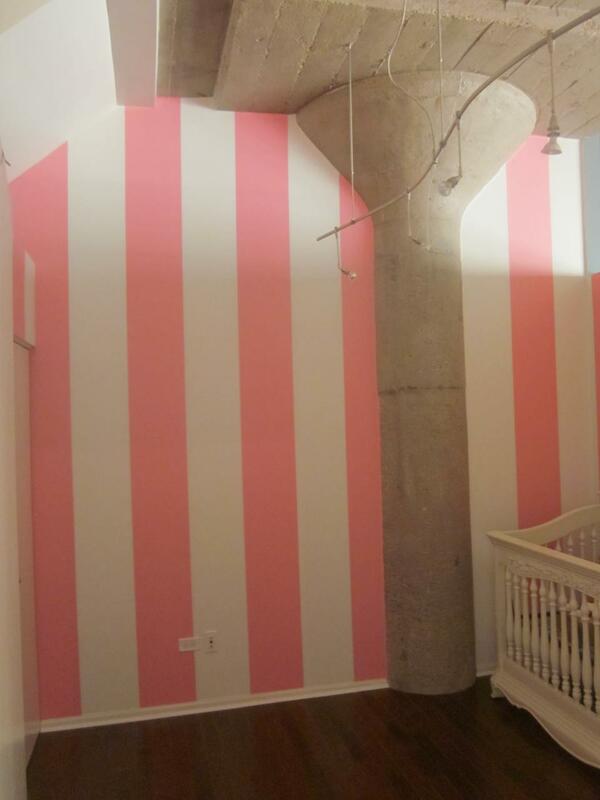 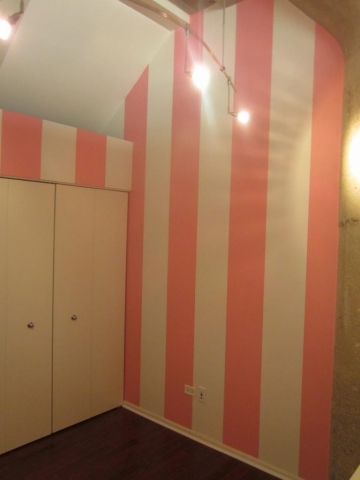 To achieve proper coverage painter had to apply three coats of pink paint.